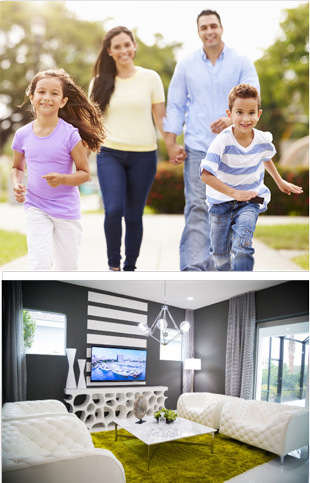 Customize your new home in Westlake, Florida’s New City. This helpful interactive tool will enable you to view available homesites featuring delightful water views. Explore all floorplans and a variety of exterior elevations to create your dream home. When you select a floorplan, you can make it your own by virtually placing your own furniture, and mix and match available structural options. Select your own exterior elevation and choose from a variety of paint colors to create an exciting residence that reflects your personal style. You can explore the vibrant Town Center and resort-style recreation that make Westlake an unmatched lifestyle. And use the interactive map to discover the many points of interest featured in the surrounding Palm Beach County area. Once you have created your dream home just save, click and email your floorplan to view later or bring to our new 9,000 square-foot, state-of-the-art Sales Center! © Minto Communities, LLC 2016. All rights reserved. Content may not be reproduced, copied, altered, distributed, stored or transferred in any form or by any means without express written permission. Artist’s renderings, dimensions, specifications, prices and features are approximate and subject to change without notice. Minto, the Minto logo, Harbour Isle and the Harbour Isle logo are trademarks of Minto Communities, LLC and/or its affiliates. CGC 1519880.